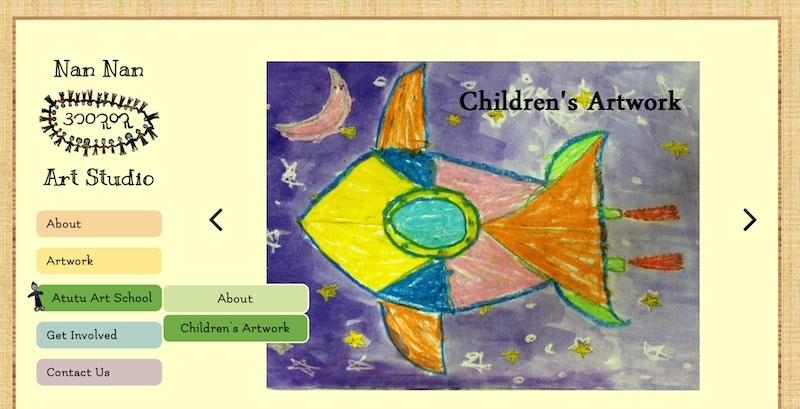 A screenshot from the "Nan Nan Art Studio" website. Nan Nan Art Studio, a project by Megumi Takada '17 and Meltem Ozcan '17. A beautiful roll-over for the vertical navbar, with drop-down menu items that have alternating side icons (children images that are part of the logo). An automatic slideshow in the homepage that also serves as a navigation tool to all other pages. A form created with jQuery which expands accordingly, based on user choices and inputs, in the Volunteer page. Contact information that shows/hides when clicked in the Contact page. 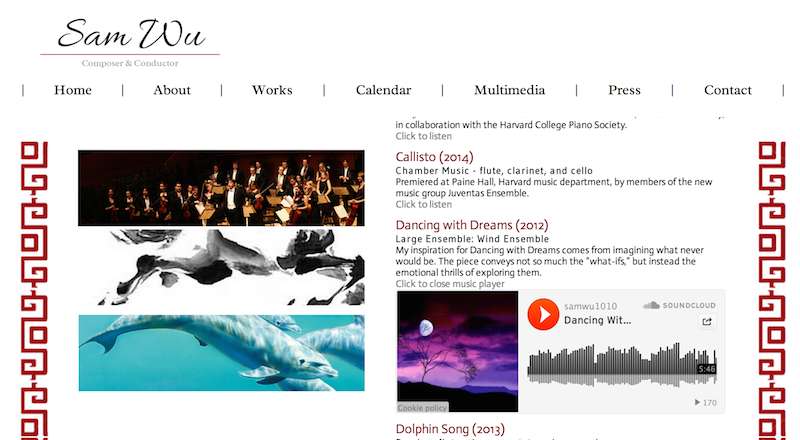 A screenshot from the WADO website. 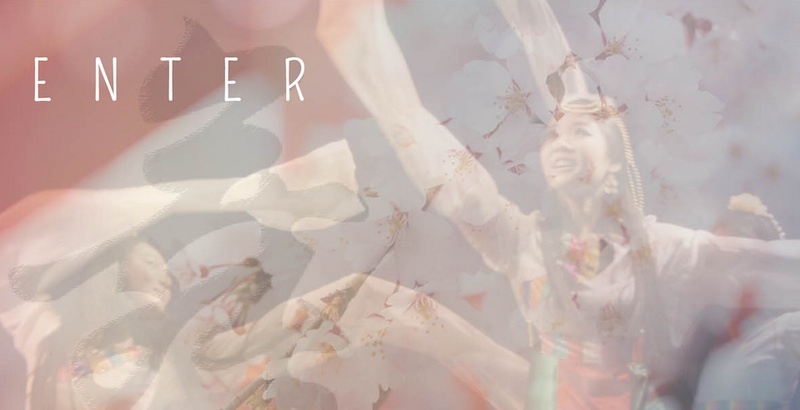 WADO (Wellesley Asian Dance Organization, a project by Frieda Zhang '15 and Victoria Wang '16. A beautiful splash page with an automatic slide-show and text animation. Rollover effects for images (from black and white to color) in the About page. Sophisticated image processing for multiple images and backgrounds. A screenshot from Sam Wu's website.